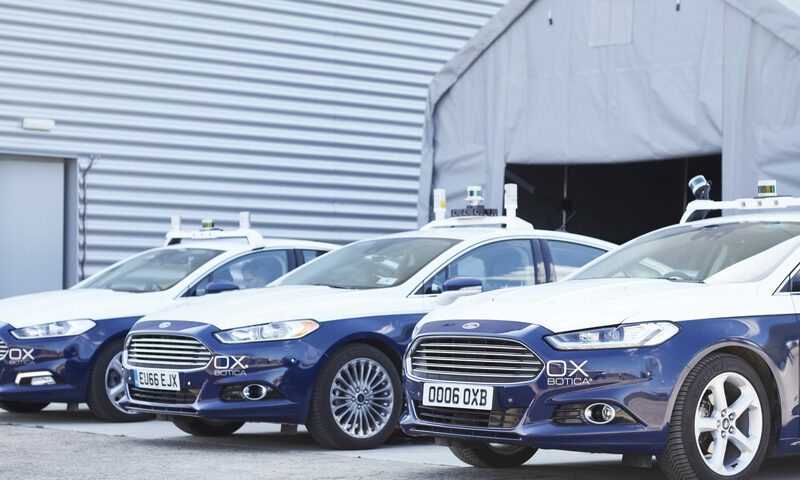 Oxbotica, the award-winning Oxford-based Artificial Intelligence company bringing driverless cars to the streets of the UK, announces today (24th April 2017) that it is leading a consortium of companies that will help to further cement the UK’s reputation as a world leader in the development of autonomous vehicles. 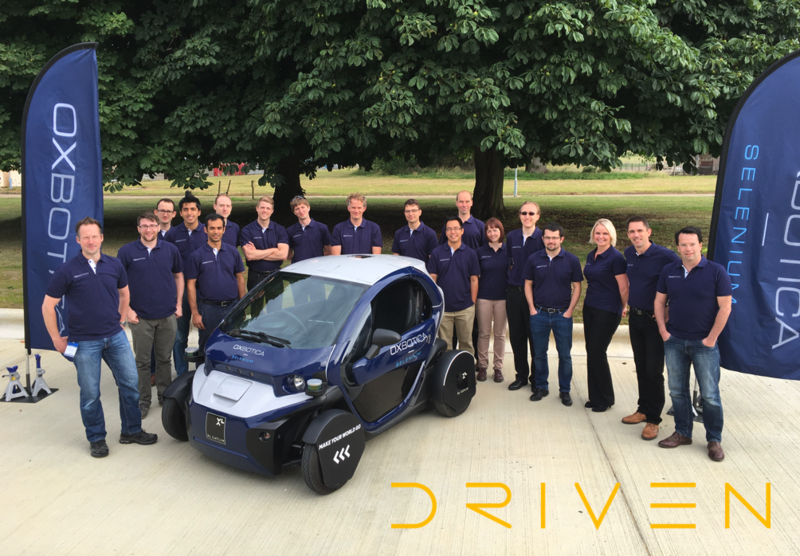 The DRIVEN consortium – which benefits from a £8.6 million grant awarded by Innovate UK – is an ambitious project that will see a fleet of fully autonomous vehicles being deployed in urban areas and on motorways, culminating in an end-to-end journey from London to Oxford. These vehicles will be operating at Level 4 autonomy – meaning they have the capability of performing all safety-critical driving functions and monitoring roadway conditions for an entire trip, with zero-passenger occupancy. No connected and autonomous vehicle trial at this level of complexity and integration has ever been attempted anywhere in the world. The consortium’s 30-month project plan, which is due to commence in April 2017, will shake-up both the transportation and insurance industries by seeking to remove fundamental barriers to real-world commercial deployment of autonomous vehicles. Key challenges the consortium will address include: communication and data sharing between connected vehicles; Connected and Autonomous Vehicles insurance modelling: risk profiling and the new cybersecurity challenges that this amount of data sharing will bring. A major part of the consortium’s work will include the use of a fleet of six inter-communicating vehicles equipped with Selenium, Oxbotica’s cutting-edge vehicle manufacturer (OEM) agnostic software. As a platform, Selenium provides any vehicle it is applied to with an awareness of where it is, what surrounds it and, with that knowledge in hand, how it should move to complete a task. A key challenge will be how to insure autonomous fleets of vehicles – and the consortium plans to develop a system that automatically takes into account data from the vehicle and external sources that surround it, for example, traffic control systems. The project will radically transform how insurance and autonomous vehicles will work together in connected cities. The project will also address data protection and cyber-security concerns raised by international policymakers and law enforcement agencies around the world by defining common security and privacy policies related to connected and autonomous vehicles. Besides Oxbotica, other partners involved in the UK project include Oxford Robotics Institute, re/insurer XL Catlin, Nominet, Telefonica O2 UK, Transport Research Laboratory, the UK Atomic Energy Authority’s RACE, Oxfordshire County Council, Transport for London and Westbourne Communications. DRIVEN is all about insuring, ensuring and exporting fleet wide Level 4 connected autonomy. Bringing together dedicated autonomy specialists, world-class innovators, key enablers, disseminators, and transport experts, DRIVEN is the most complex CAV trial that's ever been attempted.